When a new year rolls around, many of us take stock of our lives and think of ways to improve. If your past year was kind of ho-hum and you’re determined to be more adventurous, you’re in luck—Alabama offers a ton of opportunities to explore the outdoors and experience new things. Whether you’re seeking high-adrenaline thrills or peaceful moments in nature, you’ll find that the state’s wild areas offer a full calendar of adventures. Of course, the biggest challenge is to actually follow through on your goal. One way to ensure your success is to identify something to do each month, and then write it down on your calendar. To help you out, we’ve compiled a year-long slate of activities and events that cover a wide range of activities and interests. Even if some of them don’t appeal to you, or take place too far from home, this list will at least spark some ideas to consider as you map out your year of adventure. More than 30 years ago, Lake Guntersville State Park began hosting a series of Eagle Awareness Weekends each January to educate people about the American bald eagle which has made a remarkable comeback in Alabama. The weekends include hikes to visit and observe eagles, live bird of prey demonstrations, and presentations on plants and wildlife. The University of Alabama Recreation Department in Tuscaloosa has set up some fantastic trips and clinics that are available to members of the public who have a University Recreation membership. The program includes a wide variety of activities, from swimming with manatees to bouldering to mountain biking. Just about every weekend beginning in February is filled with something fun and challenging, and most trips are geared toward beginners, so these are great opportunities to try something new. Visit the UA Trips and Clinics website for the schedule and fee information, and be aware that space is limited for trips and clinics. Women ages 18 and older are invited to take part in the annual Outdoor Alabama Becoming an Outdoor Woman weekend in Shelby County near Columbiana. This hands-on workshop is held over a three-day weekend and offers women opportunities to participate in more than 50 courses where they can try activities and learn skills, such as orienteering, climbing, camp cooking, backyard wildlife, photography, and dozens more. And of course, there is a lot of fun and the chance to spend time with like-minded women. There is a fee for the weekend and pre-registration is required. Need a break from a tough work week? Then join the Land Trust of North Alabama for their weekly Tuesdays on the Trail in Huntsville. Each week LTNA leads hikers to fascinating and breathtaking destinations. One day you might learn about insects, and the next day watch as the largest population of gray bats east of the Mississippi fly out of Sauta Cave. It all begins in April, with special sessions for children ages 6 and up, and then transitions to adult programs in June and July. The Birmingham Audubon Mountain Workshop in Mentone is one of the largest and oldest birding events in the Southeast. For more than 40 years the workshop has spotlighted not only birding but also the ecology, wildlife, history, and the culture of northeast Alabama with a steady stream of presentations, hands-on clinics, and field trips. For registration information and the schedule of events, visit the Mountain Workshop website. Some of the best mountain bike trails in the state can be found at Oak Mountain State Park in Pelham, the site of the annual Bump ‘n Grind race sponsored by the Birmingham Urban Mountain Pedalers (BUMP). The weekend-long event has XC, Super D, and Air D races as well as kids races and a unicycle race (no kidding). For complete details, visit the Bump and Grind website. It’s not called “Alabama the Beautiful” for nothing. 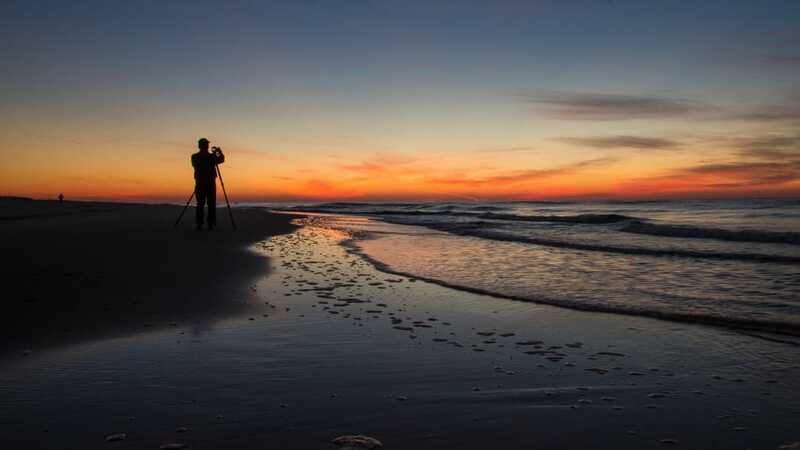 Here’s your chance to show off your photography skills by capturing that beauty and maybe win some prizes in the Outdoor Alabama Photo Contest. There is no fee to enter the contest, and entries are accepted from July through October each year. 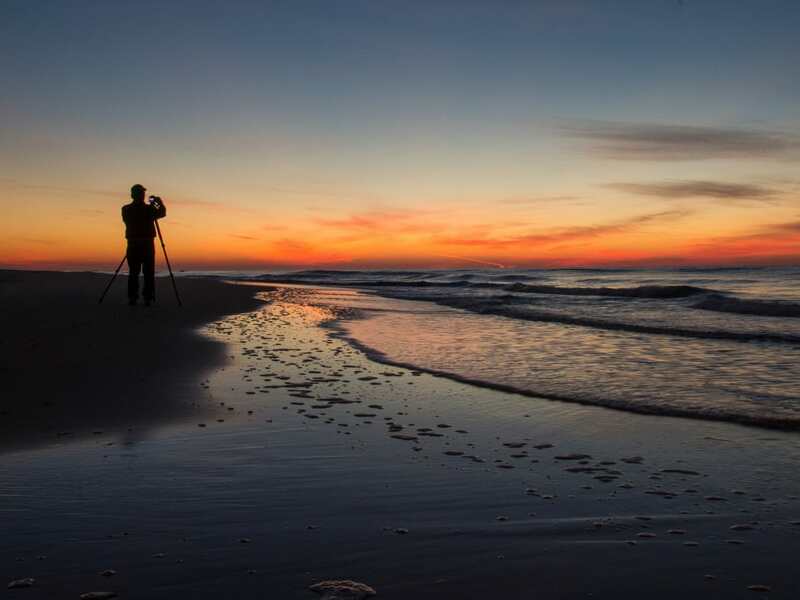 Prizes are awarded in 12 different categories and winning photos tour the state in a traveling photo exhibit. Wanna race? Bring the whole family out to Weeks Bay in Fairhope for the annual Pelican Paddle. Contestants can compete on the 3.5-mile course in several categories of kayaking, stand-up-paddling boarding, and “non-traditional” paddling, which includes any type of non-motorized boat. There are separate races for women, men, juniors and tandem paddlers. If you don’t want to compete, you can join eco-tours that explore Weeks Bay. Most people don’t think of seeing blooming wildflowers in the fall, but September is the perfect time to see even a host of radiant plants throughout the state. The trick is knowing where to find them, so you’re best bet is to join the Alabama Wildflower Society on their weekly hikes. On any given day, AWS chapters across the state from Huntsville to Mobile will guide you to places like Bibb County to see bright Yellow Fringed Orchids and delicate Blue Curls. In the Bankhead National Forest, you can spy flowering Trillium, while hikes in northeast Alabama will lead you to the Tall Ironwood plant. Or, join a journey along the backroads of South Alabama to see the Dense Blazing Star. Nothing can bring diverse cultures and races together like the outdoors, and that’s the goal of the Horse Pens 40 Color the Crag event held each October This four-day rock-climbing gathering celebrates the diversity of the climbing community, builds relationships, and provides a positive representation of rock climbing and physical activity to people of color. Start a new holiday tradition with your family and friends Thanksgiving Day by joining fellow hikers for some fun hikes in north Alabama. The Land Trust of North Alabama (LTNA) has been organizing their Turkey Day hikes through their preserves in Huntsville for more than 25 years. The hikes feature visits to waterfalls, springs, views, and history. Little River Canyon is the backdrop for the annual Day-After-Thanksgiving Hike organized by the staff at DeSoto State Park. Forget those Black Friday sales and enjoy the cool, crisp fall air and view the rushing waters of Little River and Little River Falls. If you’d like to learn to ski or snowboard, you don’t have to leave the state of Alabama to take your first turns. You can actually hit the slopes at the state’s only ski resort, Cloudmont, in the northeast corner of Alabama. Known as the “southernmost ski resort in the U.S.,” Cloudmont starts making snow when the temperatures hit the mid-20s, and the humidity is low, which sometimes happens as early as mid-December. At this laid-back, family-friendly ski area, beginners can take lessons to ensure that their first experience on a ski slope is positive. Written by Joe Cuhaj for Matcha in partnership with BCBS of AL.